Tracey Kingston White is a qualified Optometrist, member of the College of Optometrists and is registered with the General Optical Council. 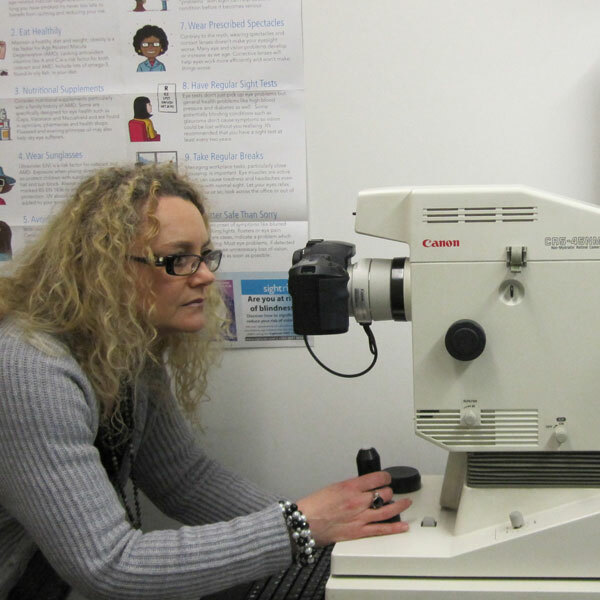 Previously known as ophthalmic opticians, optometrists are primary health care specialists trained to examine the eyes to detect defects in vision, signs of injury, ocular diseases or abnormalities and problems with general health. Your GP knows about your general health, but your optometrist has studied for years to learn all about your eyes – how you can see best, and what to do if things aren’t quite right. A detailed examination of the eye can reveal conditions such as high blood pressure or diabetes. We make a full health assessment, offer clinical advice and when necessary prescribe spectacles or contact lenses. In addition, we dispense, fit and supply spectacles or contact lenses. We offer Private or NHS examinations and sight tests to those who are eligible. Read more about NHS eligibility here.